A Bachelor of Pharmacy (abbreviated B Pharm) is an undergraduate academic degree in the field of pharmacy. Throughout the history of modern medicine, pharmacists have consistently been tasked with having a deep understanding of the drugs and treatments that have revolutionized the quality of life for millions of people. Pharmacists work in a number of different settings to include: retail, hospitals, clinics, home health care facilities, home infusion facilities, long-term care facilities, managed care facilities, Armed Services, mail service, internet companies, public health service, veterans administration, local, state, and federal government, association management, community pharmacy, consultant pharmacy, pharmaceutical sales and marketing, drug research and development, managed care, universities and numerous other settings. Choosing an institution to study pharmacy is always a tough task. Keeping this in mind, we will provide you with best private universities which offer Pharmacy Degree in Bangladesh. These are comparatively the best universities among all the university that offer Pharmacy Degree here in Bangladesh. 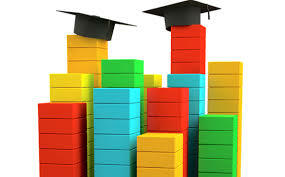 Because of their educational facilities, education quality, recent success by their students in different fields and their reputations in recent years, these universities found their places in our list. Thanks to our research team for bringing out the best result for you. N.B: There have no government or any official ranking. This ranking is based on students choice and university facilities(Lab, Faculty, Class, Extra Curriculum) for students. So, anyone can disagree with this ranking and campus.com.bd will not be liable for any caused by this ranking.